Annual dues are $250 paid by January 31. Annual dues will be prorated for members joining after January. We can arrange for other payment schedules, such as a schedule of $22.50 per month for annual membership, added to the monthly fees below. Monthly dues for the Recreation Group are $40/month for 0-2 practices per week. This is a year round monthly commitment and due by the 7th of every month. Included in this fee are two coached sessions per week. Additional coached days are available: 3 sessions a week is $60/month, and 4 sessions is $80/month. Monthly dues for the Experienced Group are $50/month for 0-2 practices per week due to the longer practice time. This is a year round monthly commitment and due by the 7th of every month. Included in this fee are two coached sessions per week. Additional coached days are available: 3 sessions a week is $70/month and 4 sessions is $90/month. Additional ad hoc practices are $7 per practice. Please Note: Regatta fees are additional. Payment is required one week before regatta date for registration to race. Regatta fees vary depending on the organizer and number of entries. There will be additional charges for mileage for trailer towing, ferry charges, and regatta support. These will be on a cost basis. North Cascades Crew is a volunteer organization and we rely on our members to help keep our club running! We require 25 volunteer hours from each member per year. 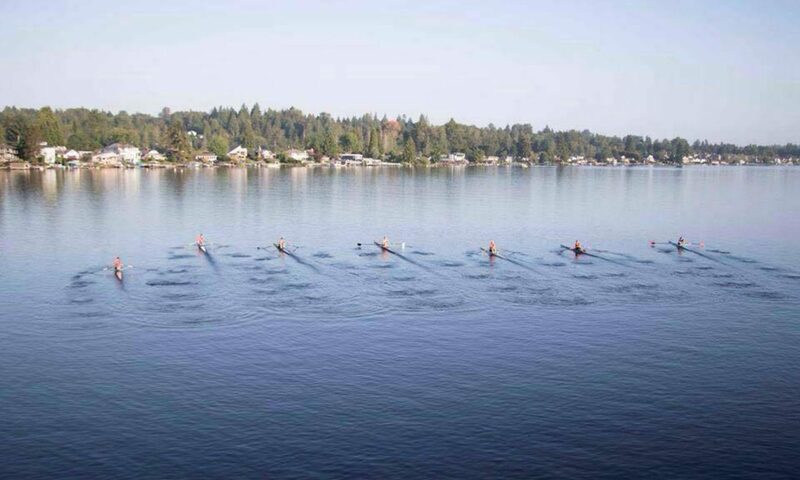 This can be accomplished in many ways; Wyatt Park and North Cove upkeep, Adopt a Park and Snohomish Conservation District, Launch driver, Boat washing and general maintenance, Help with Learn to Row, Try Rowing, and Team Building Events, Volunteer at NCC Booth for various events, Marketing Projects, Fundraising, Board Participation, or What are you good at? Bring us your talents! If you do not wish to volunteer, these hours can be bought out at $6.50/hr. Got quesionts? We know you do. Send all the questions about all things rowing to northcascadescrewrow@gmail.com or give us a ring at 1.888.ROW.NCC1.